Are y’all tired of strawberries yet? I hope not! 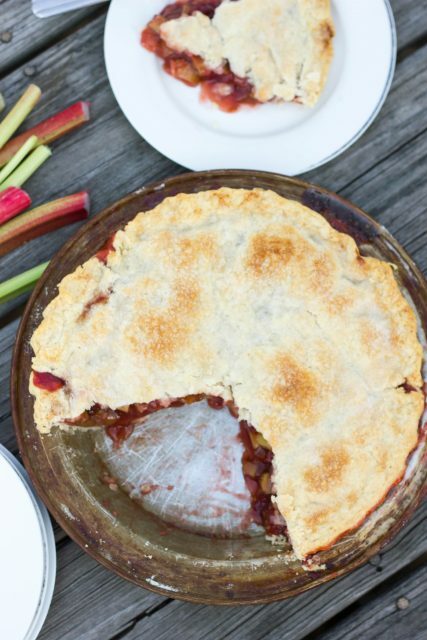 Strawberry Crumb Bars, Strawberry Layer Cake, and now Strawberry Rhubarb Pie! I made this pie last weekend when I was on my bake #allthethings kick, and it was delicious! Of course, if I’m honest I love pretty much anything if it’s sandwiched between flaky pie crust ;), but I especially love the sweet-tart flavor of rhubarb and strawberries (or raspberries). Bonus points for turning the rhubarb a pretty red color! It’s perfect slightly warm with a big scoop of vanilla ice cream. 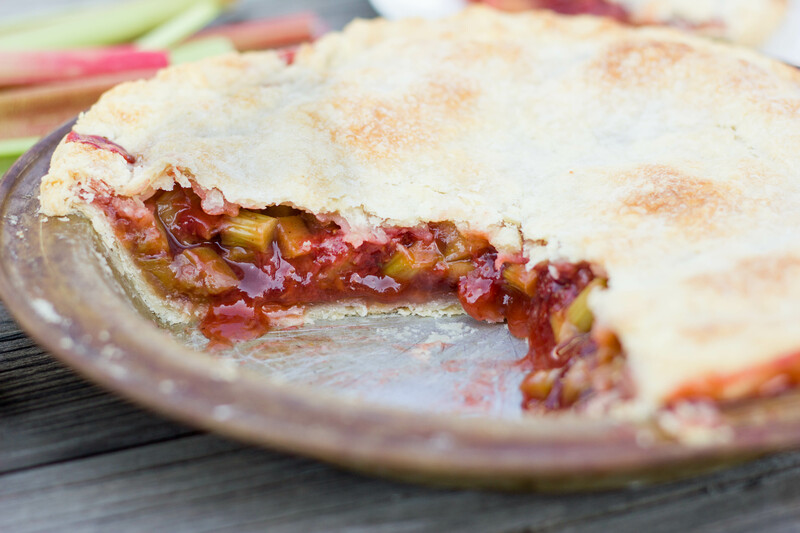 Put this pie on your weekend baking list! It’s a crowd-pleaser for sure. Enjoy! 2. In large bowl, combine rhubarb, strawberries, 1-1/3 cups sugar, cornstarch, vanilla, cinnamon, and lemon juice. Stir to combine. 3. Line bottom of pie plate with crust. 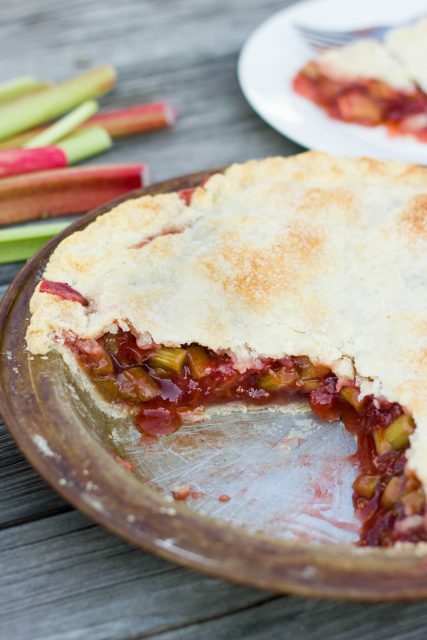 Pour rhubarb mixture into crust. Top with remaining crust. Brush top crust with melted butter and sprinkle with remaining 2 tbsp sugar. Cut slit in center. 4. Bake in preheated oven for 10 minutes. Reduce oven temperature to 350 degrees and continue to bake for 50 minutes or until golden brown and bubbly. Cool completely before slicing.